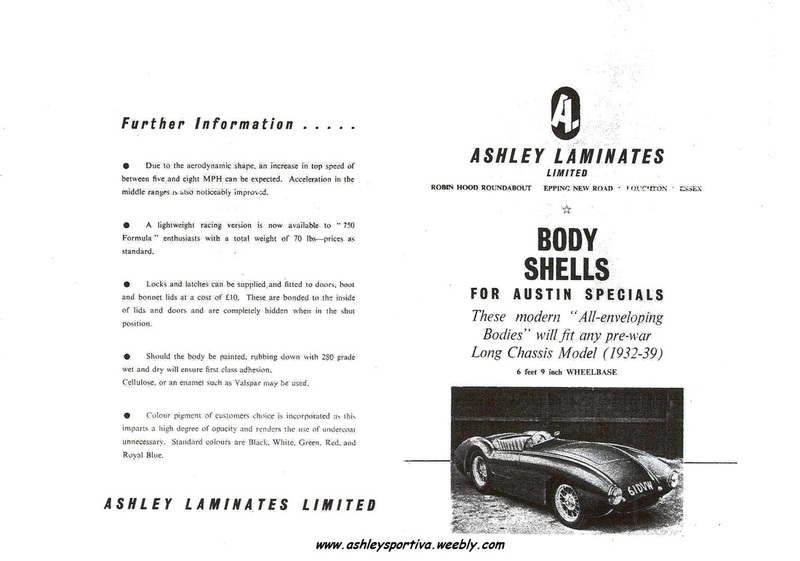 ​I have no photo's of this Ashley 750 but I do know that it had a Red body in 1969 and would have looked a bit like the photo above. This was a 750 body but definitely fitted with an 1172 engine. The car was for sale on the forecourt of a car sales garage (The Waltham Motor Company), Trevor thought it very out of place among the Fords and Austins etc. and his guess is that it was a part exchange. It sold very quickly and he never saw it again.